I met Karin Friday night for 2nd Fridays art walk in East Pilsen. “I read somewhere that Pilsen is the next up and coming neighborhood,” she told me as we walked from gallery to gallery. This is always a little hard to hear. We all want improvement but there aren’t many affordable places in the city left to live that are close to the lake and downtown. Pilsen has long been a good option for students and artists and “up and coming” can also mean higher rent and loss of some character. You will not find a neighborhood in Chicago more accepting of street art and supportive of public art. Some of it is really amazing and some of it- not so much. But the acceptance of this is what is so great about it. 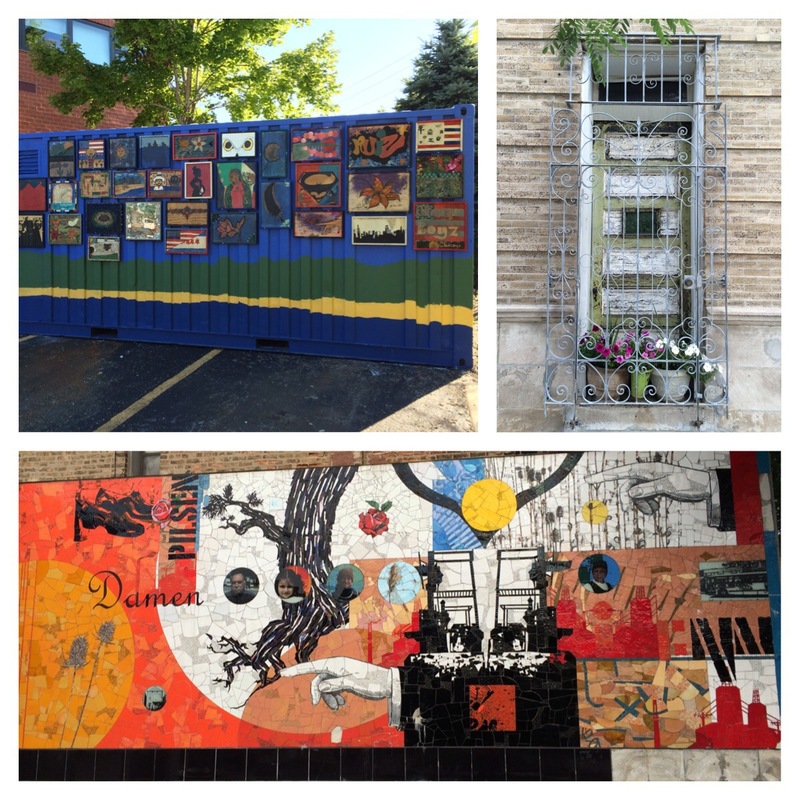 Here are some pictures of what I saw on my walk this morning in Pilsen, from where I live to a coffee shop on 18th. 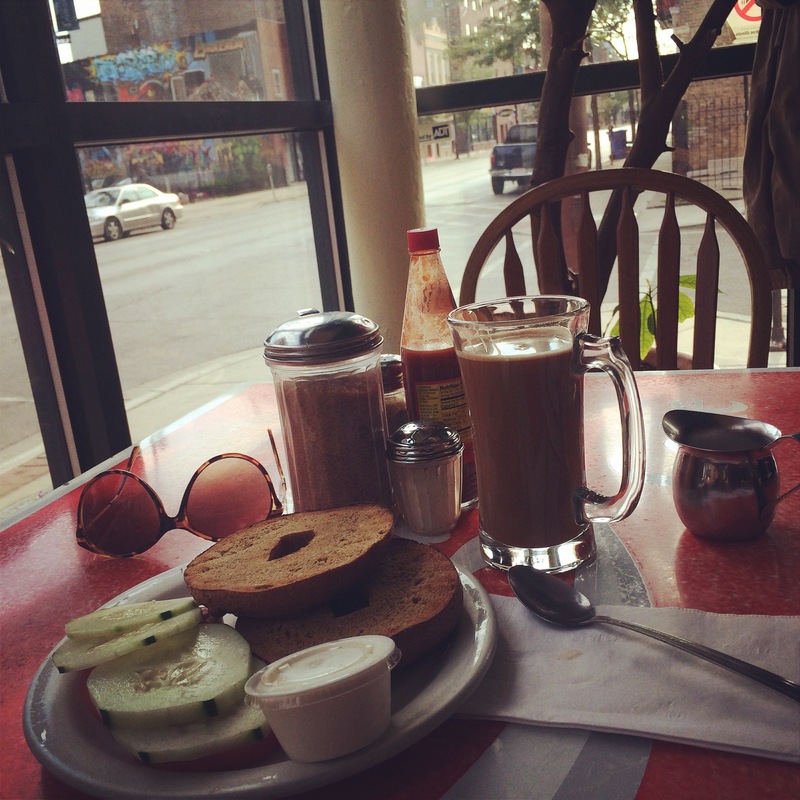 I am writing this entry while at my favorite Pilsen coffee shop, Cafe Jumping Bean. Anyway, back to the art walk. There are a number of artists who open their studio spaces to the public every 2nd Friday of the month for you to browse through. You can watch young models in training put on a little fashion show, stay in galleries who also have DJs playing and have some wine, get some chocolate or sweets, listen to live musicians on a sidewalk while being offered milkshakes and hotdogs (that happened), or be invited into an expansive shared gallery to see sculptured paintings and lively street inspired art by the artist himself as he hands you a can of Old Style (yep, that happened too). You will not feel underdressed or intimidated. These artists are friendly and happy to have you by. Bring your wallet if you want to add to your art collection. These artists are offering great deals on their work as they are displaying in their own spaces and do not have to give up any money to a gallery owner.